Freshwater biotic communities are complex, magnificent ecosystems, but are often unseen by the general public. In the southwestern United States, underwater views of these communities are rarely obtained. 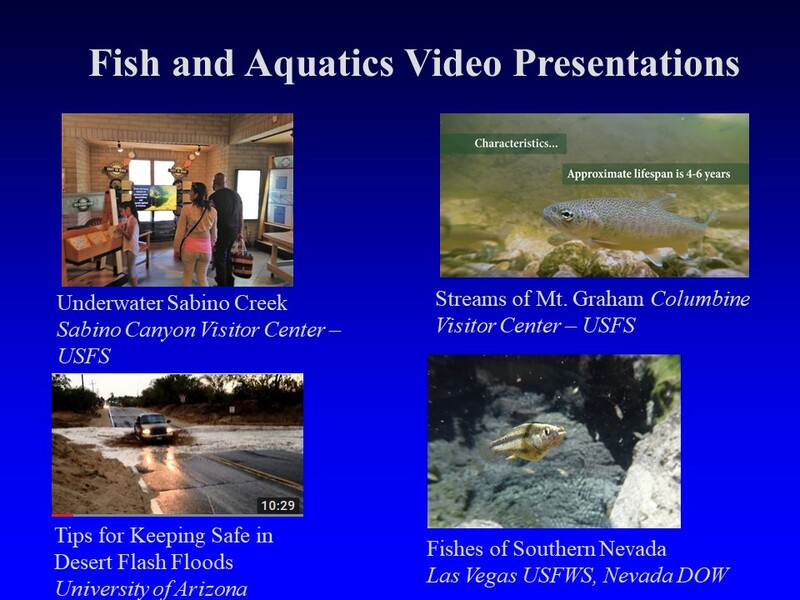 Until recently, methods for aquatic biologists and educators to communicate with the public about these systems required fish and other organisms be brought to the surface, or expensive underwater video and camera techniques be employed. However, with the accelerating development of inexpensive, ultra-high definition underwater video technology and the advancement of personal computer systems to process such video, high quality educational video presentations are now within reach of biologists and educators to use to educate the public. We are developing inexpensive methods that can be used by most biologists and educators with little to no background experience to produce stunning presentations of underwater viewscapes of freshwater systems. Methods were developed and tested while filming underwater aquatic communities of southern Nevada and California. Data are now being compiled, and methods will be presented in a thesis chapter and publication. Partners include USFWS and NDOW.